Maintaining your vacuum can be made easy with this 10 pack of vacuum bags. Vacuum bags should be changed routinely in order for your vacuum to perform at its best; having a convenient supply in your closet will reduce poor suction performance due to a full vacuum bag. The Windsor Sensor XP12 has Electronic Automatic Height control. Its bigger, 1200 watt motor pulls even more dirt from the carpet. Light-handle-weight (1.5 lbs!) ensures operator comfort and productivity. Versatile on-board tools and extension wand make Sensor XP-12 the perfect choice for detail cleaning. 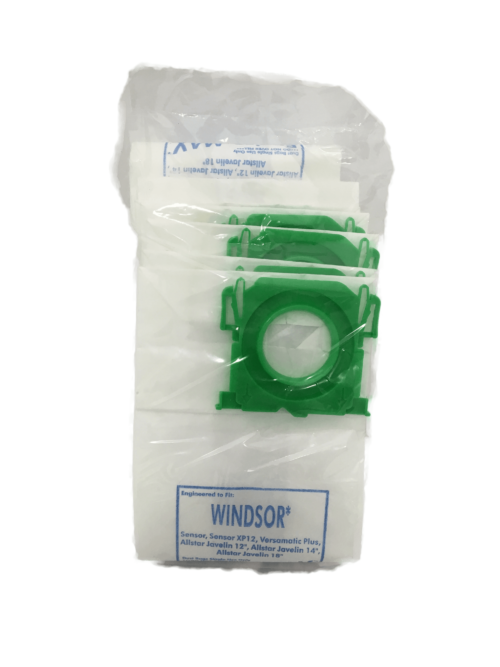 Easy-to-change filter bag, ensures the bag is installed correctly. Vacuum will shut-off to self protect in case of clog or jammed brush roller. Low profile, flat-to-the-floor design allows user to easily clean under beds and furniture. 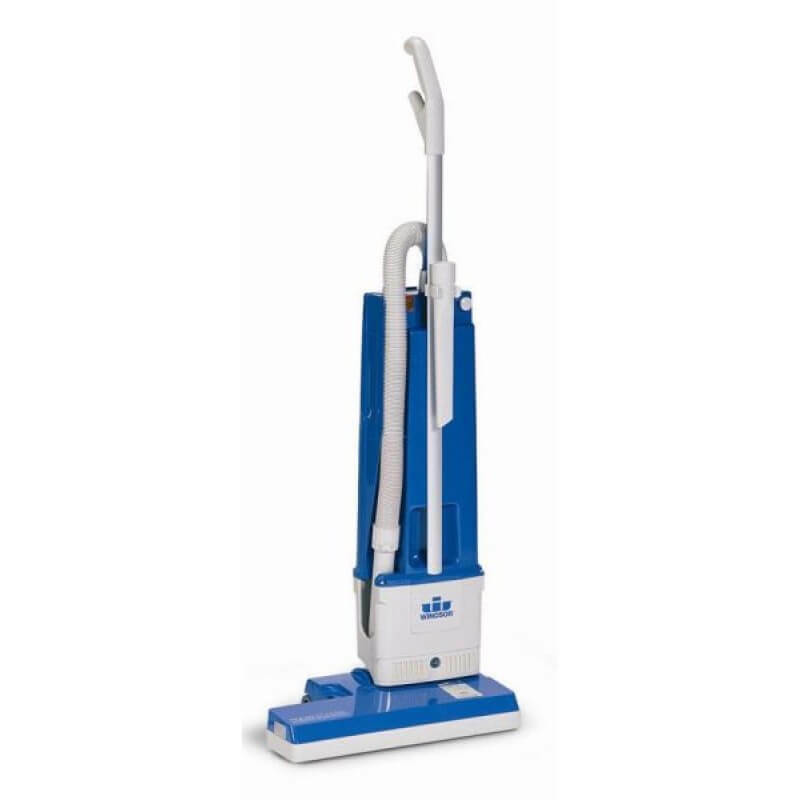 Windsor VERSAMATIC PLUS is the new standard for cleaning performance and reliability. 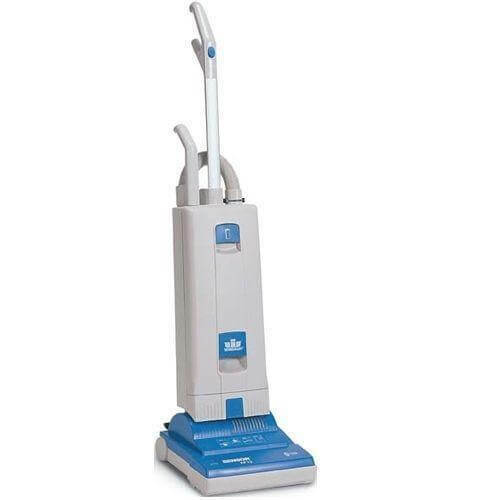 Power, convenience, and a long trouble-free machine life in a commercial quality, two-motor upright vacuum. 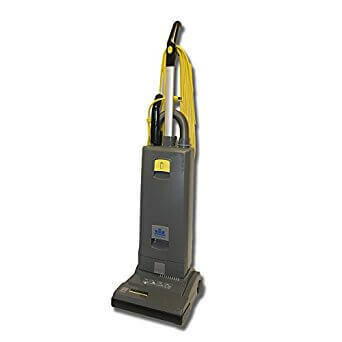 The same durability and reliability that made the original Versamatic the most popular two-motor upright vacuum in the industry.